What kind of makeup looks good on lehengas and Indian outfits? Getting engaged so need opinion. 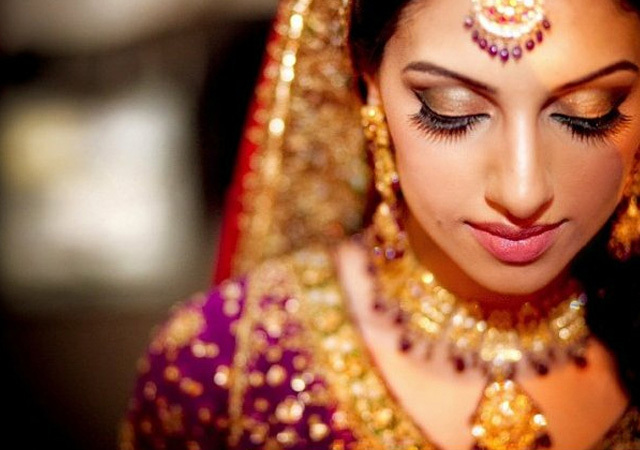 You can try out shimmery and light colour makeup for your Indian attire as this kind of makeup looks good on lehengas. Go for sober makeup which looks decent. What happens sometimes is people apply heavy makeup on Indian outfits which looks too much. light color makeup with tikali can look better. I agree.. light coloured make up is more beautiful than putting heavy eye shadows and make up. How beautiful she looks! Such subtle light make up..
Yeah shimmery look can go well with Indian outfits. I like their culture a lot.